Solid gold and platinum bars for display. Videocardz has done it again and revealed the entire slide deck of the brand new Intel Skylake-SP (aka Purley) platform before the NDA lifts tomorrow at 9:15 AM PDT. The slides do reveal some new information but confirm quite a lot of older details as well about the platform. 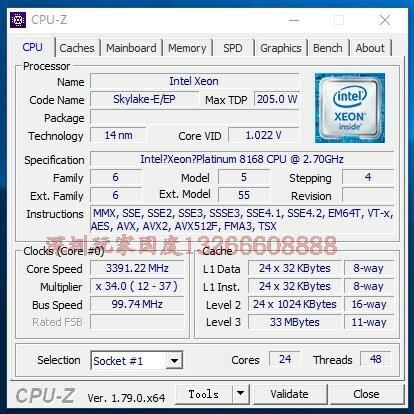 We now know for sure that the Xeon Platinum, Gold, Silver and Bronze Intel accidentally launched a few weeks back was indeed the Skylake-SP platform. Intel’s new Scalable Xeon lineup will be replacing the E5-E7 series of old with brand new nomenclature. The Purley platform itself will be divided into two separate components: Skylake and Cascade Lake. The transition to Purley is expected to begin this year and finish in 2018. As always, the Purley family is being marketed as the ideal chips for ‘mission critical’ applications. The Skylake uArch itself brings quite a lot of improvements to the table with a larger out of order window, and increased scheduler size. The L2 has also been improved and the L1 has been doubled from the Broadwell uArch. Apart form that, the execution engine has been streamlined as well and of course, something that we have been talking about for a very long time: AVX 512 with 2 FMAs per core along with a 1MB MLC. Intel’s new Xeon Scalable processors feature a mesh interconnect and this is something that is really interesting. This is in contrast to the AMD CCX design and it remains to be seen how it fares compared to the older star topologies. From the looks of it, a mesh interconnect should be superior in quite a lot of applications due to increased permutations of core hopping. The processors themselves utilize the Socket P (LGA 3647) and will scale up to 8 sockets! The TDP of the chips are going to be configurable between 70W and 205W. One of the biggest advancements that Skylake will have is the Intel Omnipath Architecture integration which will be called Storm Lake (Generation 1). The PCH will be codenamed Lewisburg and will also ship with updated Ethernet controllers. Another very important point to note is that the platform will be scalable up to 8 sockets – which is frankly an absolutely insane amount for CPUs working in tandem in any given configuration. The lineup’s boast a wide variety of clock speeds and core configurations with the flagship going as high as 28 cores clocked at a hearty 2.5 GHz. The socket is LGA 3647 and this lineup is the new nomenclature of the Skylake-SP platform. Xeons previously named E5 and E7 are now going to be named according to this new nomenclature. Oh and there is still no official word on the 32-core chip we spotted earlier this year. 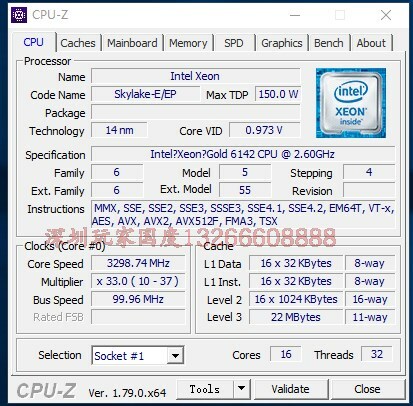 Intel’s Xeon Gold and Platinum lineups go as high as 3.6 GHz clock speed with the low core variants (think Xeon Gold 5122) and as low as 2.0 GHz for some specific low power variants. The Xeon Gold lineup has the nomenclature of 61xx while the Platinum lineup follows the 81xx nomenclature for CPU naming convention. Let’s talk about the absolutely monster CPU that is lurking in this lineup though: the 28 core, 56 thread Xeon part. The Intel Xeon Platinum 8180 is the part believed to have 28 cores and is clocked at an astounding 2.5 GHz core clock. This is very impressive for a processor with this amount of cores. It also has an L3 cache of 38.5 MB as well as a TDP of just 205 watts. The architectural improvements that set Skylake apart from Broadwell can be found throughout this lineup so it would be fair to call it Intel’s Skylake rollout to the server market. The T and M at the end of the nomenclature both stand for power variants and the H0 stepping shows that Intel has been busy with this lineup progressing so far into the nomenclature family of CPU steppings. The amount of DIMMs available has been increased to 3 DIMMs per channel for a grand total of 18 DIMMs per CPU. 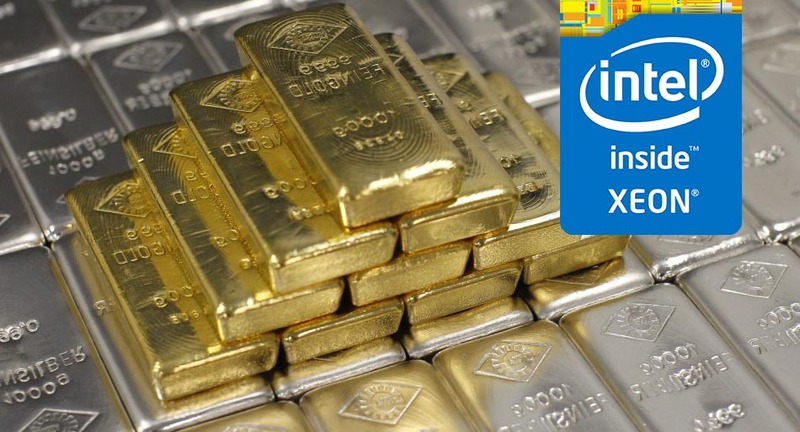 So far Intel has four families of Xeon planned: Bronze, Silver, Gold and Platinum. The Platinum family will be the 8000 series, gold will be 6000 and 500, silver will be 4000 and bronze will be the 3000 series. Core scaling is thought to start from 10 cores all the way up to 28 cores (or even 32 cores if the processor we saw earlier ends up being part of this lineup. Skylake Purley is poised to be the biggest update since the age old Nehalem platform. Along with the improved performance per watt that comes with every article iteration, Skylake EX Purley will actually ship with 6 channels of DDR4 as opposed to 4. It will also include the AVX 512 instruction set and will boast the 100G OmniPath interconnect. Skylake Purley will also have Cannonlake graphics support not to mention FPGA integration (another important upgrade). The new platform also comes with an updated socket. The socket has been upgraded to feature 3647 pins that gives it the LGA 3647 name. The socket is surrounded by 12 DDR4 DIMM slots. This is due to support next-generation hexa-channel memory and Intel’s Optane DIMMs for faster latency solutions. Overall, Purley will be expanding Intel’s server platform with a range of new features. 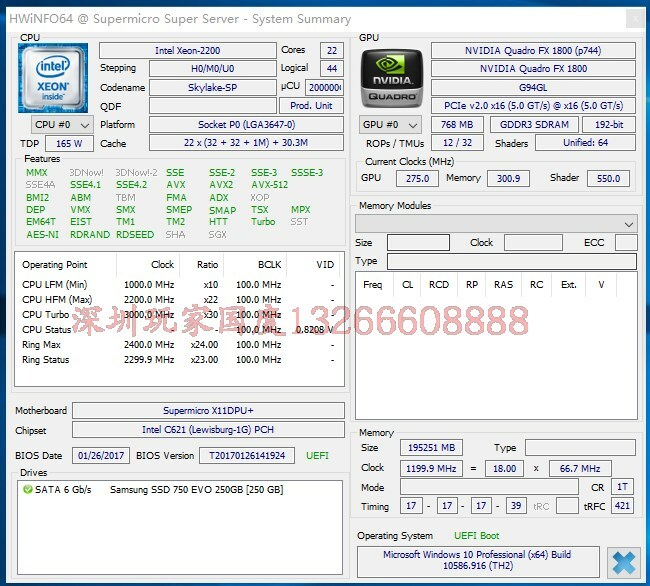 This particular leak was posted on the Chinese retail site Taobao and the processors are actually available for sale (assuming you have a couple of thousand dollars lying around) for those who are enterprising enough to find them. 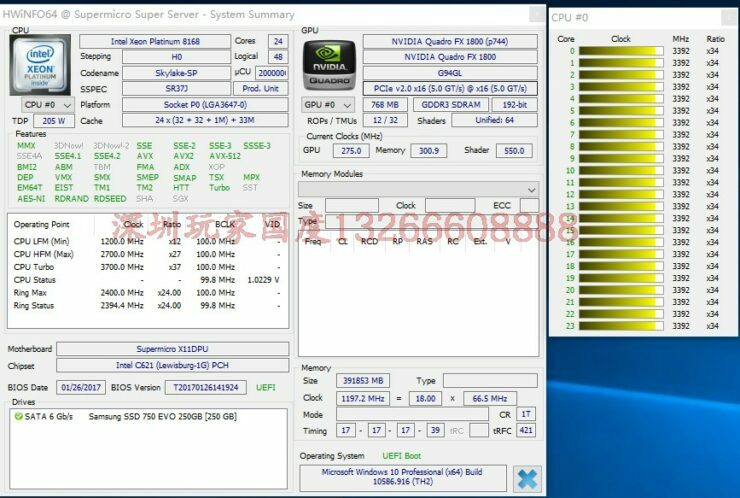 The lister benchmarked the processors and also posted CPU-Z and HWinfo screenshots of the same. All Xeon Platinum and Gold CPUs are based on the LGA 3647 socket and Lewisburg PCH. So without any further ado, lets get into it. The first processor we have is the Intel Xeon Platinum 8176 processor which rocks 28 Cores / 56 Threads and has a clock speed of 2.1 GHz. This is complimented by a maximum single core turbo of 3.8 GHz whileas the all-core turbo extends up to 2.8 GHz. 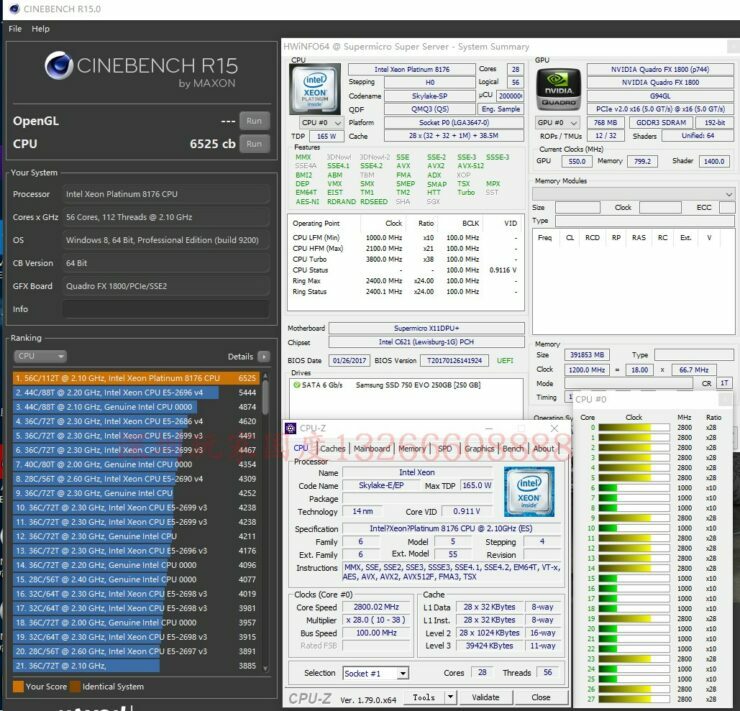 The CPU scores 37.08 cb in Cinebench R11.5. 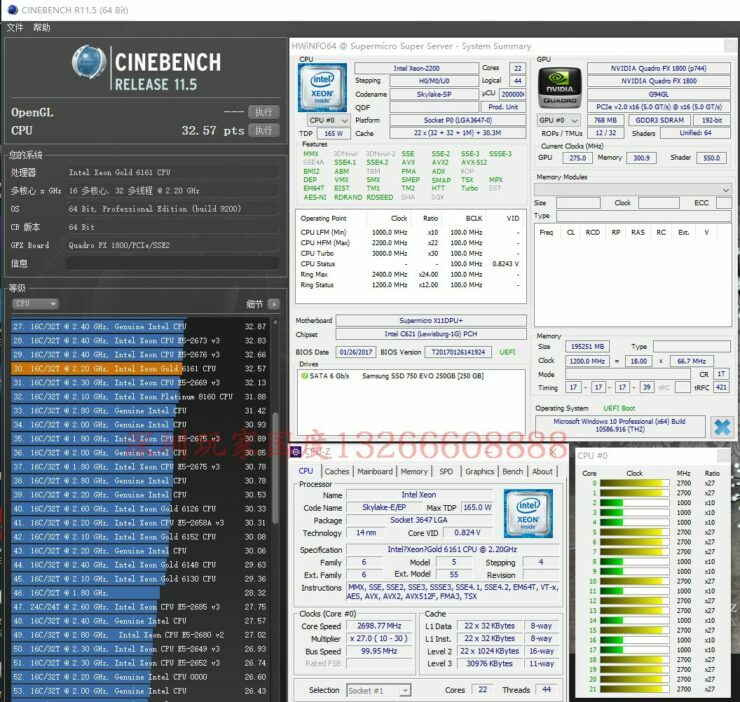 This is a score that is roughly equivalent to a 16-core processor and there is good reason for this: this version of Cinebench is only recognizing 16 cores. 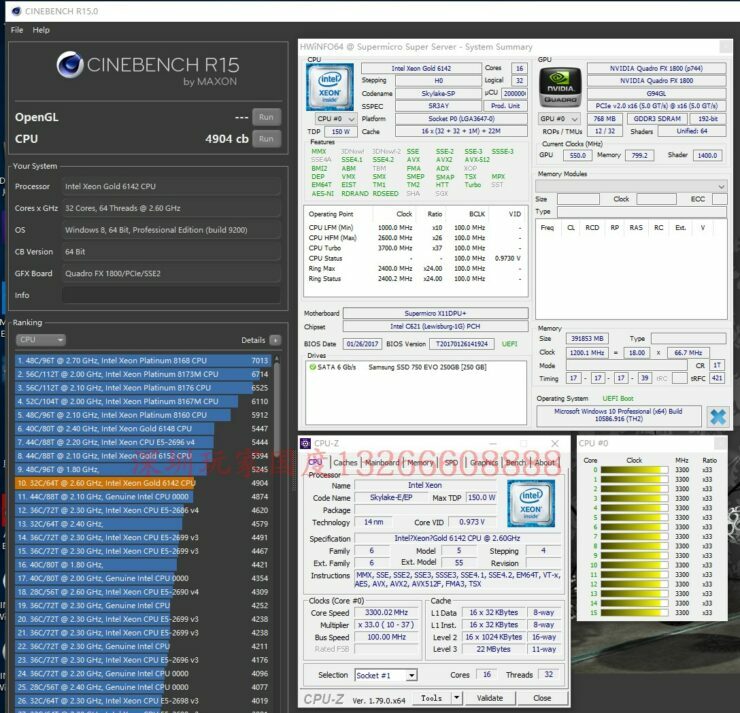 In Cinebench R15 however, the lister has included a dual socket benchmarks with all cores (56 Cores / 112 Threads) correctly being detected and the configuration nets 6525 points in Cinebench R15! The all core turbo appears to be stable at 2.8 GHz. 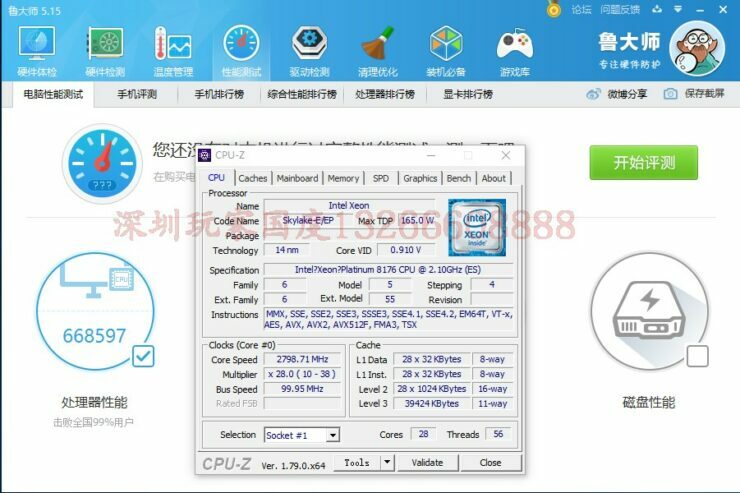 This processor can be yours for only $3222 over at Taobao should you want to buy it (Note: this is the re-seller price, not the official MSRP). 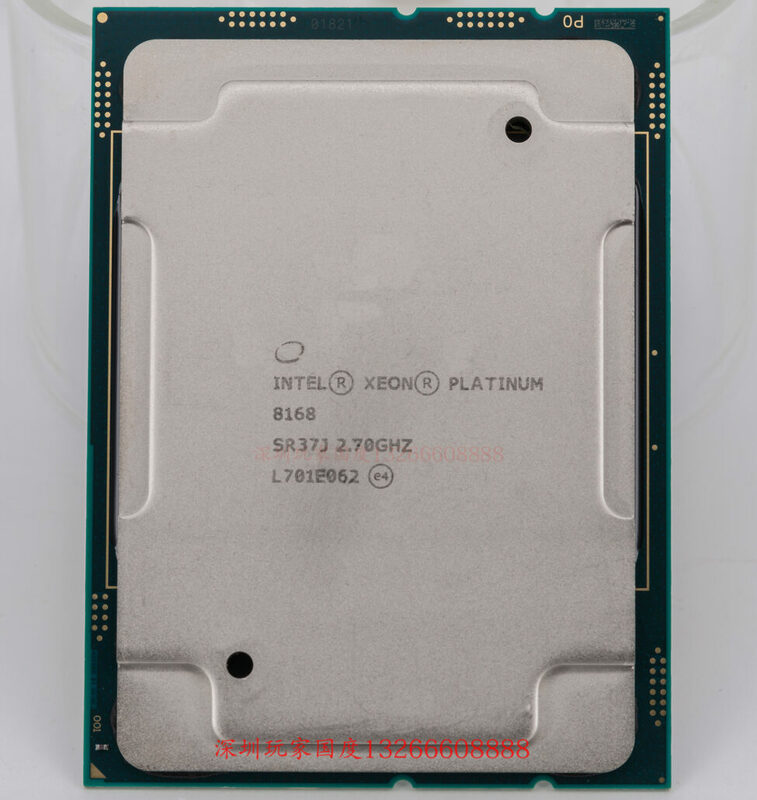 The second processor in our leak today is the Intel Xeon Platinum 8168 which boasts 24 Cores and 48 Threads. The base clock speed of this processor is 2.7 GHz which is quite a step up from the 8176. The base clock is complimented by the single core turbo of 3.8 GHz and the all-core turbo appears to be stable at 3.3 GHz. There is only one benchmark included for this particular processor and that is in the dual socket configuration of 48 Cores / 96 Threads. Interestingly, the processor manages to output even higher performance than its bigger brother. 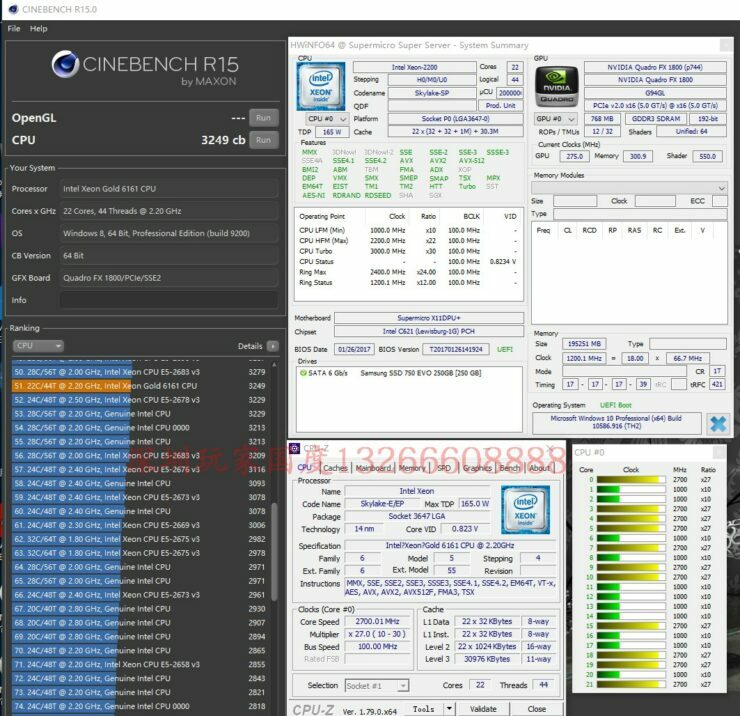 It nets 7212 points in Cinebench R15 and this is roughly 10% faster than the 8176. The reason for this is simple of course, the loss in core count isnt high enough to offset the gain that results from having a significantly higher clock speed. This processor is going to be the one that will deliver the most optimal performance unless Intel decides to up the clocks on the CPUs. 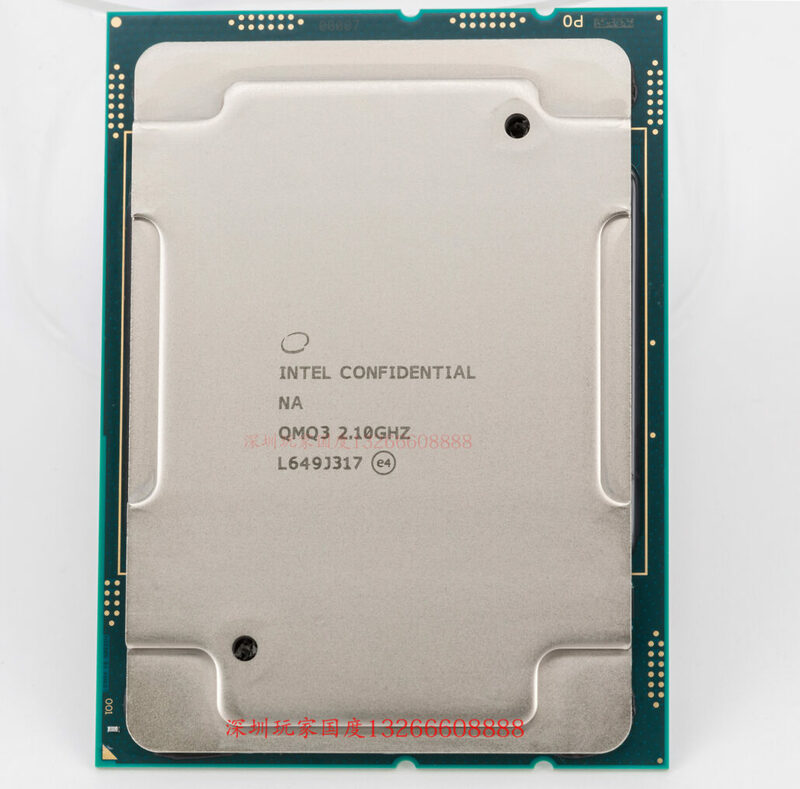 The Intel Xeon Platinum 8168 can be yours only for $3814 (Note: this is the re-seller price, not the official MSRP). 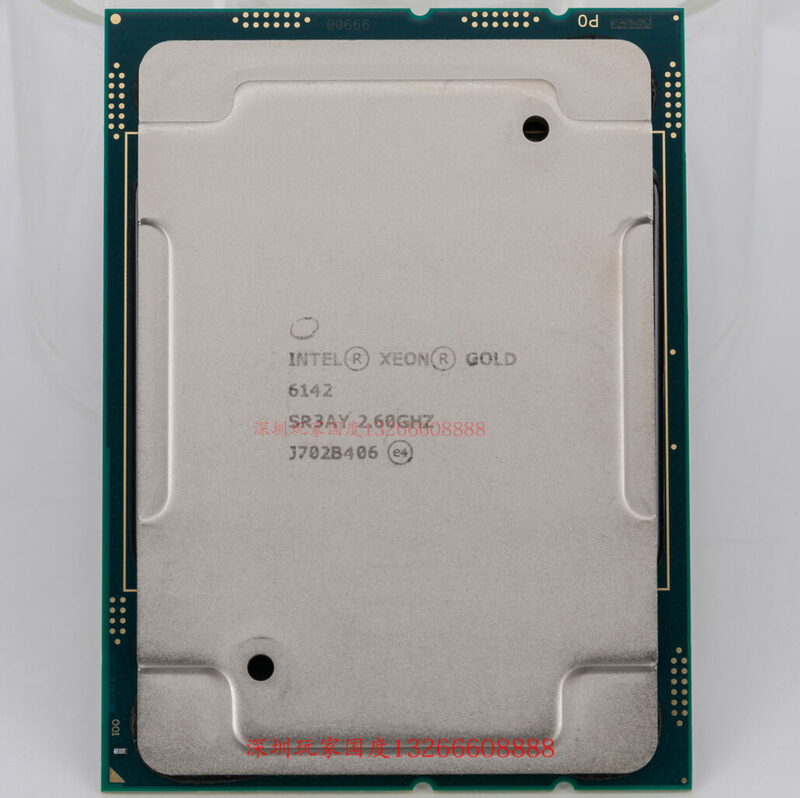 Next up we have the Xeon Gold entrants starting off with the the Xeon Gold 6161 which boasts 22 Cores and 44 Threads. The processor has a base clock of 2.2 GHz and a turbo clock of 3.8 GHz. The all-core turbo appears to be stable at 2.8 GHz, which appears to be more to do with Intel’s motives to ensure a lower performance metric than its older brothers, than actual thermal constraints. 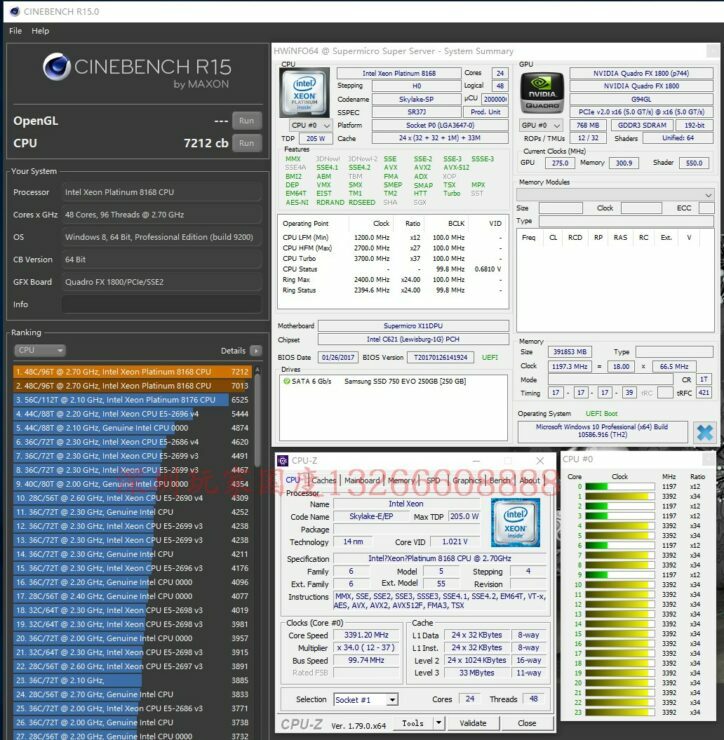 Interestingly, Cinebench R 11.5 did not recognize more than 16 cores in the 1S benchmarks and the processor scored 32 cb, about the same as its older brothers. 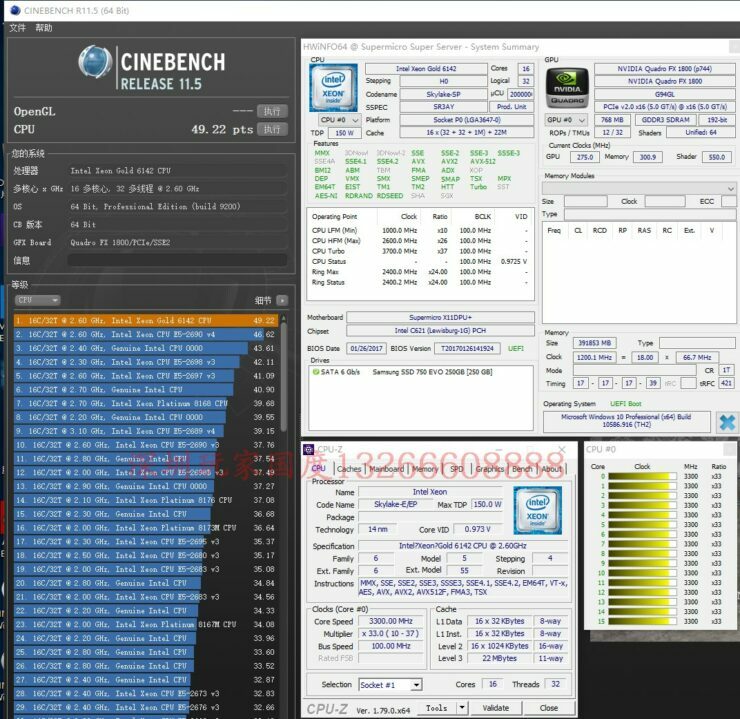 While we don’t have any dual socket benchmarks for this entry, we do have a single socket benchmark with all 22 cores fully detected. 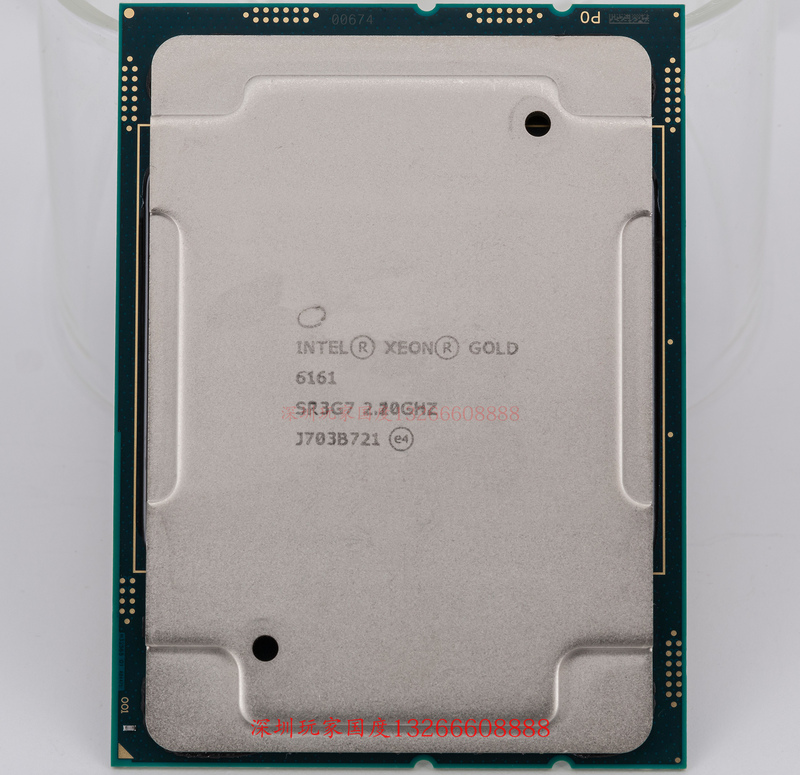 With all cores operational and at full power, the Xeon Gold 6161 scores 3249 points. This processor can be yours for the price of $2488. (Note: this is the re-seller price, not the official MSRP). 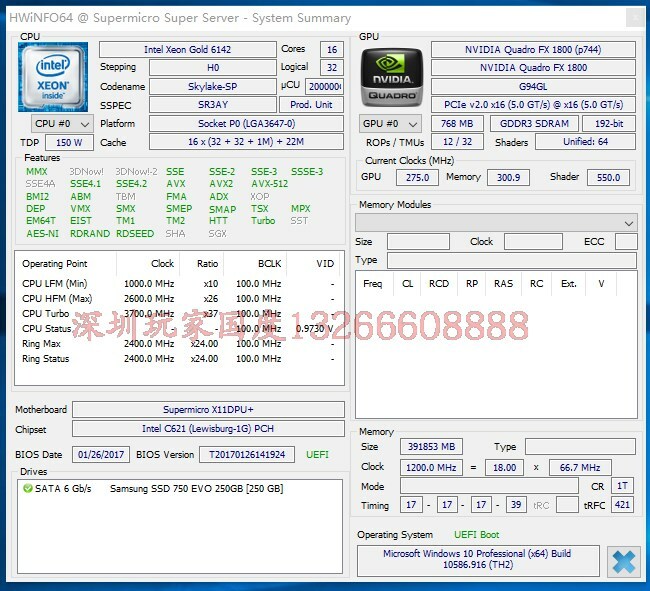 Finally, we have the Xeon Gold 6142 processor which has exactly 16 Cores and 32 Threads. The base clock of this particular processor is 2.6 GHz with the single-core turbo being 3.7 GHz. The all-core turbo appears to be stable at 3.3 GHz. These are pretty decent clocks for a processor this size and the performance is indicative of the same. 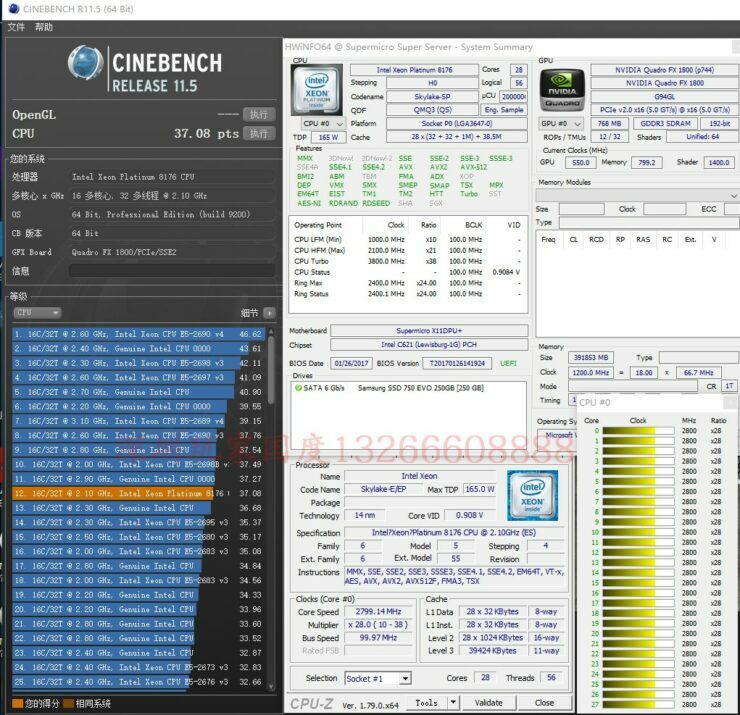 The Xeon Gold 6142 scores 49.22 cb in Cinebench R11.5, this is the highest score so far and the only one where the CPU was detected correctly by the benchmark. Finally, we have dual socket benchmarks with 32 Cores and 64 Threads. 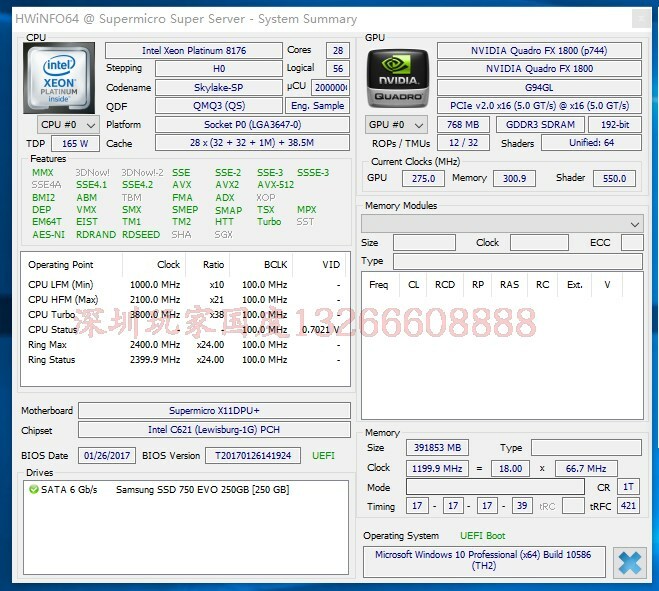 The 2S configured Xeon Gold 6142 scores an impressive 4904 points at an all core clock speed of 3.3 GHz. An interesting thing to note here is that this processor is probably a good reference point for Intel’s upcoming Skylake-X lineup – especially the 16 core part. This processor can be yours for $1751. (Note: this is the re-seller price, not the official MSRP).